A ball thrust bearing is a particular type of rotary ball bearing. Like other ball bearings, they permit rotation between parts, but they are designed to support a high axial load, while doing this (parallel to the shaft). Higher speed applications require oil lubrication. Generally, they are composed of two washers (raceways) which may be grooved the rolling balls elements which are typically caged. 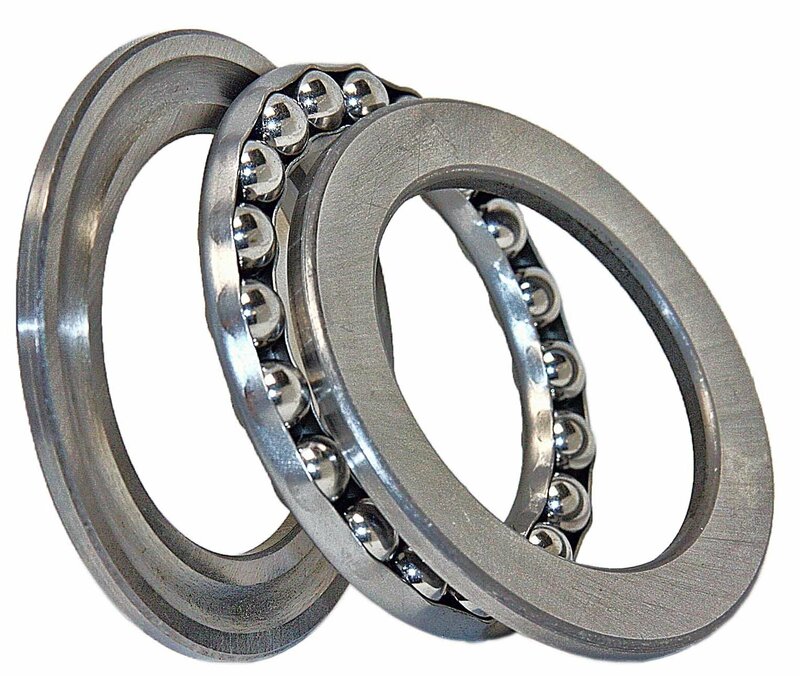 As opposed to roller thrust bearings, ball thrust bearings can generally operate at higher speeds but at lower loads. Contact Us if you have any questions.